Our Instant Oatmeal may not be adorned with fruit, nuts or brown sugar, but it is certainly no plain Jane! Made from certified gluten-free oats, our Natural Instant Oatmeal is perfect, as is, or add your favorite ingredients to make it just the way you like it. Ready to eat in just 1 to 2 minutes, you can have this heart-healthy breakfast even on days when you're rushed for time. 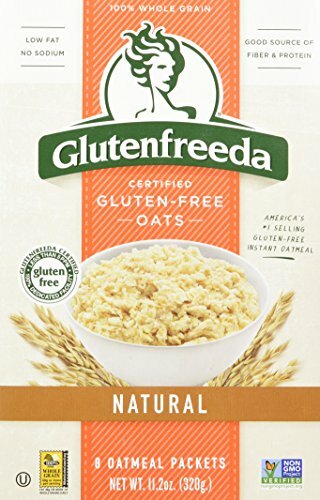 If you have any questions about this product by Glutenfreeda, contact us by completing and submitting the form below. If you are looking for a specif part number, please include it with your message.